Blueskiesnrainbows will stand for $2500 at Sunlight Farm in Sallisaw, Oklahoma for 2019. His first foals are yearlings in 2018 and look outstanding! This is his first year to stand in Oklahoma, as he previously was in Indiana. Owner Kelly Mitchell of Bad Boy Racing, LLC is no stranger to Oklahoma horse racing with former Oklahoma Horse of the Year, Slew O Mink. Kelly grew up in Sallisaw with his father, Dr. Bob Mitchell, starting Sunlight Farm and his mother, Delores, serving on the first Oklahoma Horse Racing Commission and as a National Horse Racing Chairman. His sister, equine veterinarian, Dr. Marcinda Mitchell is manager of Sunlight Farm, a top-notch equine reproductive facility in Sallisaw. Bad Boy Racing, LLC currently races in California with trainer Jerry Hollendorfer, in Indiana and Kentucky with trainer Brad Cox, and Oklahoma with trainer Scott Young. Bad Boy Racing is excited to be a part of the Oklahoma Bred Program with their great group of mares and this outstanding stallion, Blueskiesnrainbows. His sire, Champion English Channel, has progeny earnings of over $31 million and was a leading turf sire in 2016. He is the sire of 3 Champions,15 Graded Stakes Winners, and 31 Blacktype winners. English Channel won $5.3 million including the BC Turf and has a 1.60 AEI. 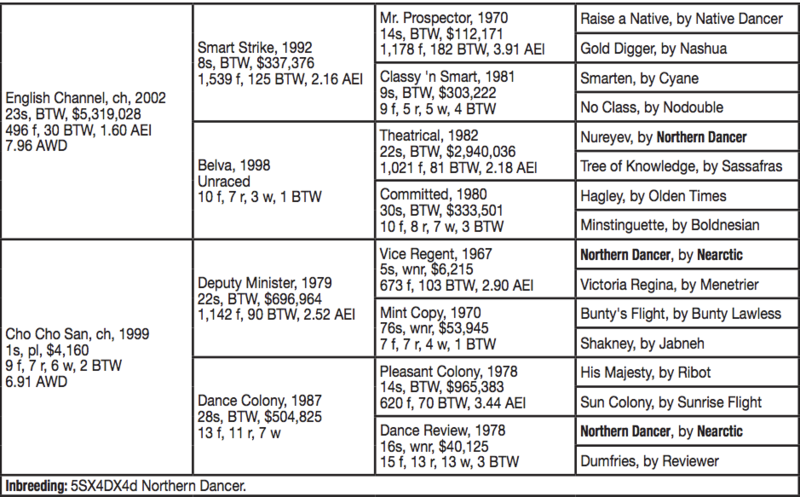 Out of a daughter of leading sire, Deputy Minister and G2SW, Dance Colony, inbred to Northern Dancer three times. Full sister sold for $260K at Keenland Yearling Sale in 2015 and was a winner at 3 in 2017 with a 2:1-1-0 record, winning $58,400 from 2 starts. 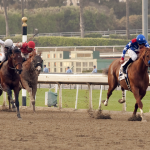 Full brother, Choo Choo, was winner of the California Derby ($100,000) at 3 on January 20, 2018.